Our Practice - Underwood Optical, Inc.
Dr. Underwood attended undergraduate studies at Union College in Lincoln, Nebraska and post graduate studies at the University of Nebraska. He attended Southern College of Optometry, and graduated May 1984 Culaude. He received awards Beta Sima Capa, Optometric Honor Fraternity, Gold Key International, Optometric Honor Society, Who's Who in American Colleges and Universities, and Contact Lens Society. He received Advanced Ocular Treatment in 1994 and Advanced Ocular Therapy in 1997 from Pacific College of Optometry. Dr. Underwood is Board certified Expanded Scope of Practice since 1998. 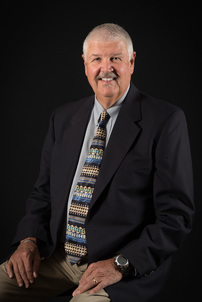 In June of 1984 Dr. Underwood joined his father in practice and has owned the practice since 1994. 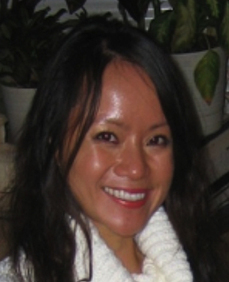 Dr. Huynh earned her undergraduate degree in 2000 from the University of North Carolina at Chapel Hill. She completed her optometric training at Nova Southeastern University College of Optometry in 2006. Following graduation, she completed a one-year residency program at Northern Navajo Medical Center in New Mexico in primary care with emphasis in ocular disease. During her seven years with the Indian Health Service, she served as an Adjunct Professor for the Southern California College of Optometry's Outreach Clinical Program. Dr. Huynh is a fellow of the American Academy of Optometry and is board certified with the National Board of Examiners of Optometry. She is also a certified Iridologist through the American College of Healthcare Sciences and is a certified member of the International Iridology Practitioners Association. Kirk is a licensed optician, NCLE & ABO certified with over 30 years experience and can help you with all your optical needs. Our practice manager and billing manager has over 30 years experience in optical field. Sharon will assist you in all questions including your insurance concerns and questions. Lisa can help guide you through all the latest frame choices and lens decisions and answer all your questions you may have with these important decisions. Lisa will gladly fit your new eyewear or adjust your current pair any time. Jessica has over 5 years experience in her contact lens knowledge. She will help you trouble shoot and instruct you on all your contact lens questions and needs. Holly will guide you through the pretest process, she can assist with scheduling appointments, or answering any questions you may have. Amanda can assist you with choosing the latest frame style, and the latest in lens technology.She can also, assist you with contact lenses, and any questions or needs you may have. Janae is our newest employee. She can assist you in scheduling appointments and answering any questions you may have. Janae can also, guide you through the pretesting process.